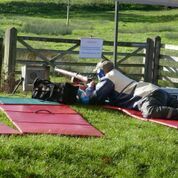 So a good fun day, Scores on the results page, Well shot all . 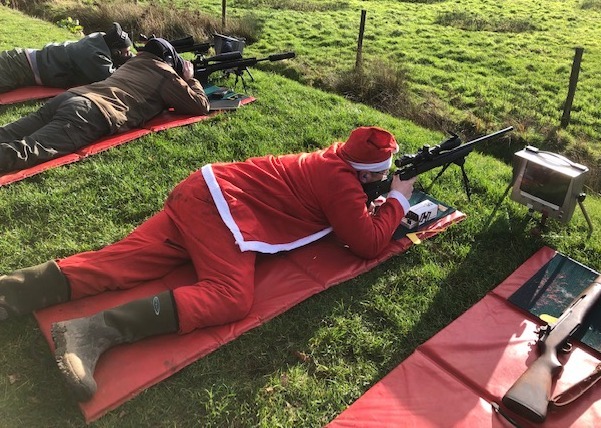 Now pay your subs and you can come along to the Hero Shoot. This entry was posted in Competition, Information on 12/04/2018 by Captain Comms. Busy day but a bit damp. Luckily the Gazebos came in handy so we were able to keep the kit dry. 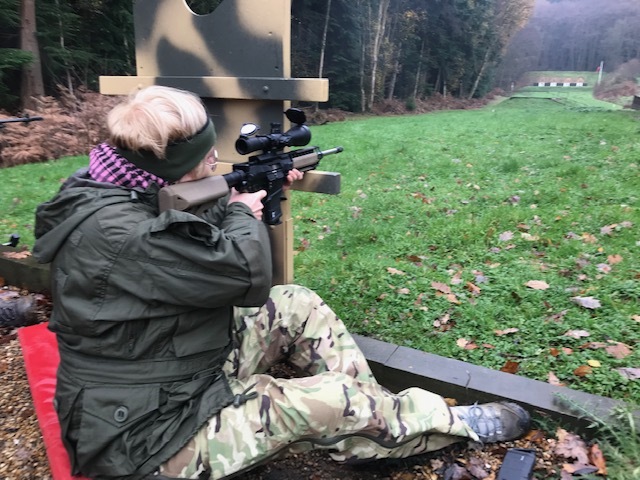 Some pictures from the day – Including our top lady shot. Scores on the results page – well shot all. 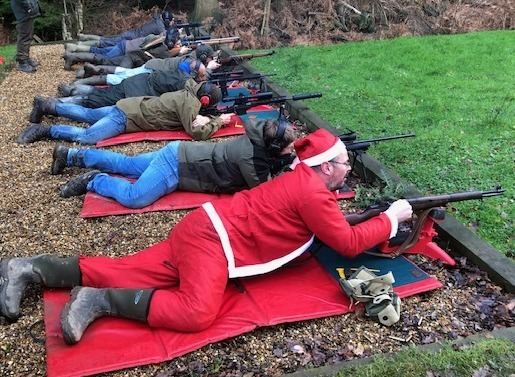 The next shoot is the Christmas bash. You will need to bring a wrapped gift to the value of £5.00 by way of an entrance fee. 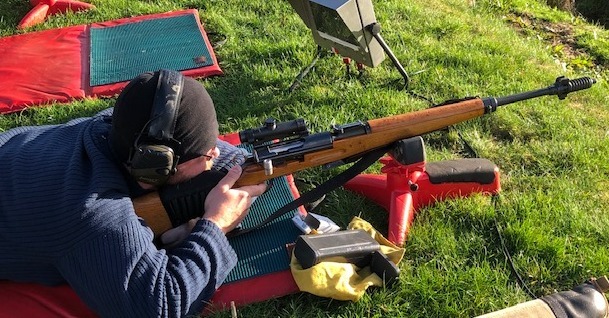 The course of fire will depend on whether Andy & Andy are able to fix the electronic targets – It is a timely reminder of why we ask you to make sure your gun is zeroed and you know how to use it. Last time we had them out the wire got shot! This entry was posted in Competition on 11/21/2018 by Captain Comms. I know it’s a bit late but I have posted the Scores page and they confirm that Horsham won with 372.31. Not wanting to be a bad sport but they had to use two Dorking members to do so! 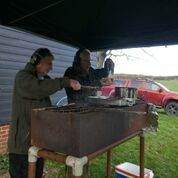 Anyway it was a good day and the Gazebos saved us from the weather and more importantly we were delighted to see Barry with his cook out gear producing perfect venison sausages in abundance. Barry has provided the catering for this event for several years and he refuses to take any payment from us for the materials. We are eternally grateful for this and on behalf of all of us – Thanks Barry! We raised £240 for the Royal British Legion. 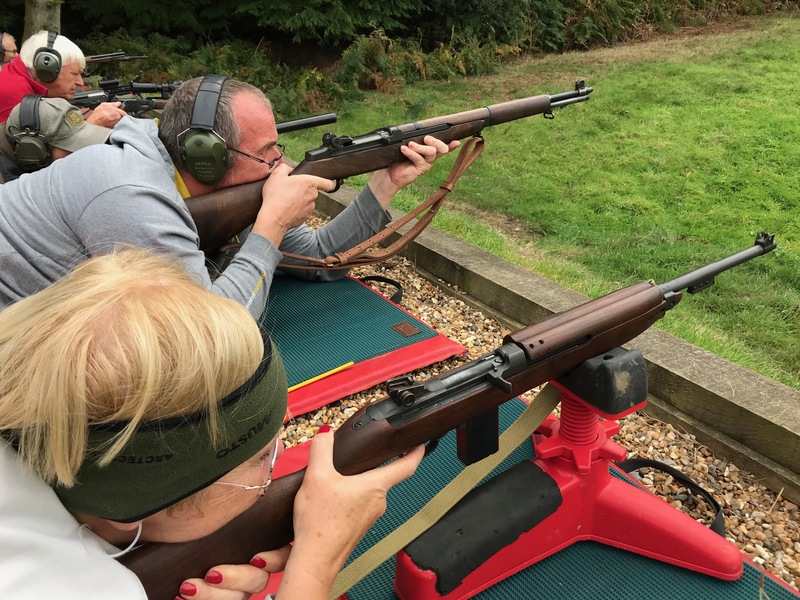 We marked the start and end of the two minutes silence by firing a single shot from an SMLE – what else could we use! So thanks to all who took part, contributed and enjoyed themselves. Remember we run the club for our benefit so if you didn’t come along then why not? The Sausages alone are worth the price of admission. See you at the next one There are some pictures below . This entry was posted in Competition, Information on 11/13/2018 by Captain Comms. 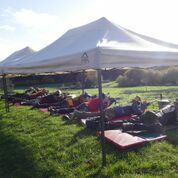 All shot at 600 yards under the gazebos so the weather was not problem. Wind was tricky and caught some of us out. The scores are on the results page and well shot all. There are scores for the overall and individuals for the A Whyte and the Garrick. The A Whyte / Garrick cup is a 2×15 at 300 and 500 yards for both TR and scoped rifle. All are welcome and we will see you tomorrow. It might be wet and cold and aside from that the clocks change so remember that. 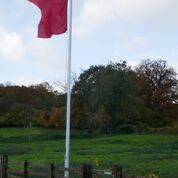 The shoot after that is the Boar Hill on Remembrance Sunday that is a TR/Scoped shoot at 300 and 600. Barry Springer has kindly offered to provide some of his famous sausages so its worth a visit. 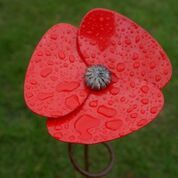 There will be a charge for the shoot (can’t remember how much but I think its £5.00 for members) and all proceeds will go to the Royal British Legion like in previous years. Please come along and support the Club & Charity. That is on the 11th November not tomorrow!! This entry was posted in Competition, Information on 10/27/2018 by Captain Comms. 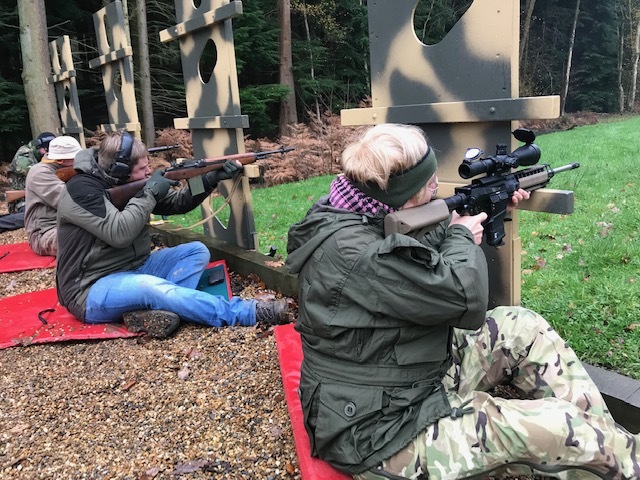 Great day and we welcomed a team from 21 Kent Home Guard Rifle Club (21KHG). This was arranged as a friendly shoulder to shoulder. We had plenty of shooters and some excellent scores. The scores are on the results page. The top score was Graeme C who yet again claimed an unknown zero etc and then put in the usual 50.10. Well shot Graeme. 21KHG provided a challenge cup that Graeme won (should have got a photo) but we will re-shoot for this at a later date and we hope our visitors will return for a further shoot when they fancy a trip to Dorking. It was great to have some new faces and friendly competition. Taking the top 4 scores from both clubs Dorking won overall with a 200 x 34 (max is 200/40) and 21KHG 196/12. So we pipped them, just, but we have the distinct advantage of having shot this before and being on home turf. Using Graeme helps as well. I expect we wont have it so easy next time and those of you who have shot this competition know its much harder than it looks. The main purpose of the day was to enjoy ourselves and that we did. Peter Z has passed on his thanks for the day and we hope to see them again soon. The next shoot seems to be another Gallery rifle so a further opportunity to dig out the toys etc. This entry was posted in Competition on 09/30/2018 by Captain Comms. After a great shoot today for Gallery Rifle the next one is McQueens (Modern at 300x). I should have taken some pictures today as we had a great selection of interesting items but I had far too much fun shooting and seeing how far a VZ58 will send an empty case (quite along way). Some old favourites, namely an M1 Garand and M1 Carbine, thankfully not on the current banning list. 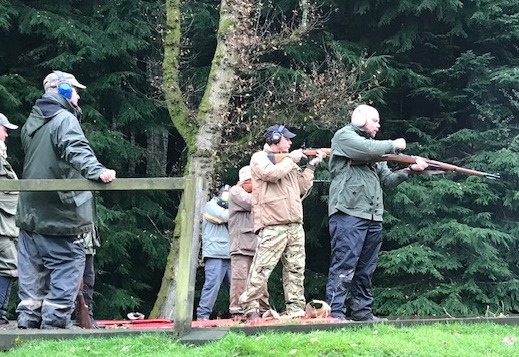 on the next shoot we will be welcoming guests from 21st Kent Home Guard Target Shooting Club who contacted us about a shoulder to shoulder comp for McQueens via Graeme of Sporting Services. 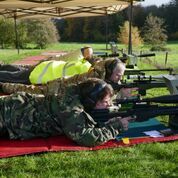 Their Chairman Peter Zeminski came along to see the range today and we should see between 4 and 10 visitors for the next McQueens shoot. Having met Peter I’m glad to report that they sound exactly like us, (ordinary people who just want to enjoy their sport). So this will be a competition based on the top scores from each club but it will be our usual low key all inclusive event where there is some light hearted taking of scores. So I am warning you in advance that we will have visitors and please make them welcome. Brush up on your zero for the shoot. As we may have more than normal please make every effort to get ready for your detail and sort yourselves out as quickly as possible so we can get plenty of shooting in. 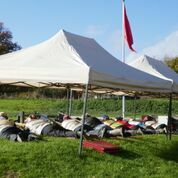 Hopefully the weather will be kind or we will just have to get all the Gazebos out (we now have 3) and carry on anyway. Most of you know it already but I have re-added the McQueens Course of fire to the relevant COF Page. This entry was posted in Competition, Information on 09/16/2018 by Captain Comms. The scores are on the results page and here as well. This entry was posted in Competition on 09/02/2018 by Captain Comms.